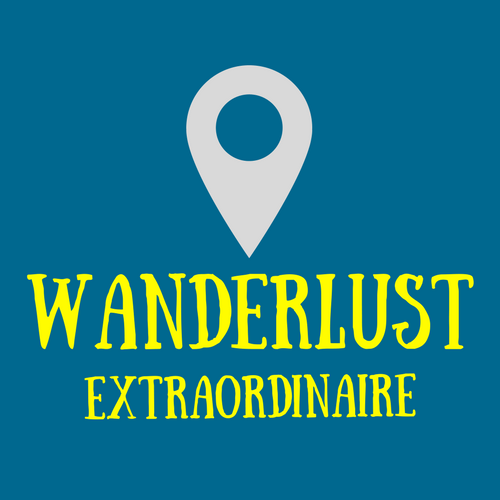 Thank you for taking the time to check out my blog I wanted to share my adventures, experiences, tips and life dilemmas surrounding my passion for seeing the world in hope that somebody; somewhere, may glean some inspiration to get out there and see this glorious planet we live on. I have to say my passion has turned into a full blown obsession, I spend hours and hours researching and planning the next trip – much to my partner’s frustrations! I first developed a strong desire for travel when I first visited Rome for my 21st Birthday – it was unreal, I didn’t even know places like that really existed, it surpassed all my expectations and some. And from that trip I knew I had to see more. Due to my love of Greece I married at the most idyllic, white washed chapel on the edge of the equally beautiful town of Lindos. I visited, America, Canada, Egypt and much of Europe, and then was fortunate enough to have some rather luxurious trips to Mexico and the Dominican Republic but it wasn’t cutting my itch enough. I badly wanted to get to Asia, ideally packing up jobs and donning the backpack for a few months but life – at that time – didn’t offer the opportunity. So I continued to see as much as I could, as often as I could, waiting very impatiently for the day to come to get my travelling pants on. After waiting years to travel then a failed marriage I finally got my wish and I travelled to Asia on my own and explored Singapore, Cambodia and Vietnam. I was blown away by this trip; travelling on your own is certainly the most liberating and emotional experience one could ever do by oneself and when I returned nothing was quite the same – I had grown in a way I hadn’t believed possible. So travelling, for me, is not just getting away from work or laying about on a beach it’s a sense of personal development; meeting new people, understanding foreign customs, beliefs, ways of life, learning about culture with the added bonus of seeing places and living – for a short time – in a diverse new world. Having accomplished my first trip to Asia it was only fateful that I met the man I knew I wanted to spend the rest of my life with, yet he struggles hugely with stepping outside of his comfort zone and thus going anywhere is tough convincing. He certainly doesn’t share the same passion to see the world as I do, though the trips we have taken together already have him chomping at the bit for more. How the scales have turned! But this imbalance; balances us perfectly despite how hard it is to get him away, and it’s this that will become the challenging backbone to Me, the self-proclaimed Wanderlust Extraordinaire.